A pre-concert lecture will take place one hour before each performance. 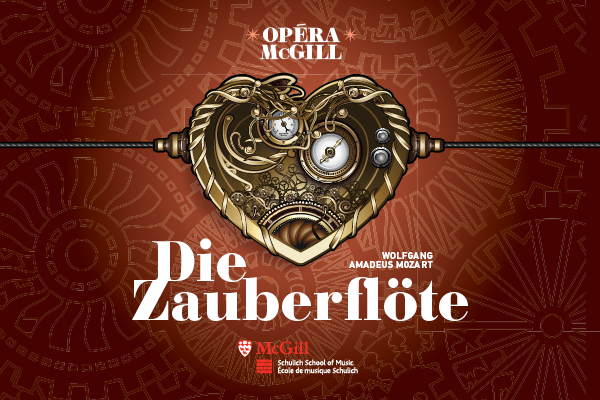 Written for the people of Vienna, Mozart's famous Magic Flute is both a favourite of opera-afficiondos and an excellent first opera for new opera admirers. Join us to see how Opera McGill sets this classic in a unique Edwardian/Steampunk setting with projections. Tickets to be purchased through the Monument-National Box Office. Service fees apply, taxes not included. This event will be webcast.